At Life Therapies Clinic, we specialise in the treatment of Panic Attacks. Almost everyone feels anxious or ‘nervous’ at times and this is normal. But a panic attack involves such a high level of anxiety that it can feel as if you are having a heart attack, going mad, or ‘losing control’. During a panic attack, you may have physical symptoms such as shortness of breath, tingling sensations, feeling dizzy or light headed, a sense of something awful going to happen, nausea, trembling, shaking, a feeling of choking, chest pain, sweating and a racing or pounding heart. If you suffer from these symptoms’ it is important,for you to see your GP in order to rule out medical causesfor them. When a person has recurring, unexpected panic attacks, is afraid of having more attacks or is worried about their meaning (e.g. “This means I’m going to go mad, die or have a heart attack”), and makes changes in his or her behaviour as a result, the person is said to have “panic disorder”. Many clients who have panic disorder also experience “agoraphobia”. Agoraphobia is fear of places or situations where a panic attack may occur or from which escape might be difficult. For example, people suffering from agoraphobia avoid being out alone, going to supermarkets, travelling in trains or airplanes, being at heights, going through tunnels, and riding in elevators or on escalators. Many clients even experience panic when they are asleep! This can be because they person usually has a high pulse rate throughout the day caused by high anxiety levels but this pulse rate falls dramatically during sleep causing an increase in pulse rate to compensate and this results in the person being jolted out of sleep. Some clients with agoraphobia experience anxiety in sunlight. Others become anxious in dimming light. Heat is a major factor in panic disorder primarily because heat causes an increase in pulse rate, dizziness and dehydration and there are more opportunities to be outside, where and individual feels more vulnerable and where they fear they will have a panic attack. What Are the Causes of Panic Disorder and Agoraphobia? According to some theories, many situations that can trigger panic attacks were actually really dangerous in prehistoric times. For example, being trapped in a tunnel could lead to suffocation or collapse; heights could be dangerous; in open fields a person was more noticeable to predators (such as lions or wolves) and public places might have brought our ancestors into contact with hostile strangers. 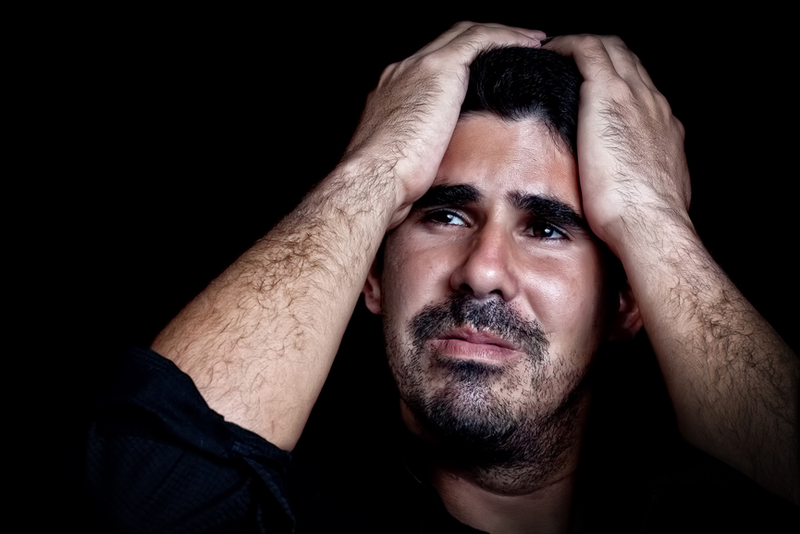 Many of the fears involved in panic disorder are similar to these fears. However, these situations are no longer dangerous in modern times. Research demonstrates that panic disorder and agoraphobia have some genetic links (i.e. your parent(s) may have been anxious). But they are not entirely inherited. In any given year, 30% to 40% of the general population will have a panic attack. However, most of these people will not panic about their symptoms or “catastrophise” them and will not go on to develop panic disorder or agoraphobia. Initially, a panic attack may be caused by a stressful situation, such as leaving home, relationship conflict, or new responsibilities. When our stress levels increase the symptoms of anxiety (heavy breathing, nausea, sweating, dizziness, trembling, pounding heart and so on) may be misinterpreted as signals of danger, making the anxiety (and the symptoms) worse. For example, a person may focus on their increase in heart rate and jump to the conclusion that they are about to have a heart attack. Or they may focus on their shaking hands and think they are “going mad”..Or they may believe they are about to die. As a result, the person may focus excessively on their physical symptoms, which can result in increased arousal (i.e. increased physical symptoms of anxiety and worry). This arousal triggers further incorrect catastrophic misinterpretations, and these incorrectly signal to the person that they are in danger from, for example, having a heart attack or ‘going mad’. A panic attack can therefore result from arousal and these misinterpretations. So the person develops “anticipatory anxiety” (fear that panic attacks will continue to occur and almost an expectance that they will). They may then begin to avoid situations that give rise to such anxiety -especially if escape from these situations may be difficult or embarrassing, or if help may not be readily available. In fact, when avoidance and escape become the major coping mechanisms used to handle anxiety, the person has developed agoraphobia. An individual with agoraphobia who does not avoid fearful situations altogether usually enlists the help of a “safety person “. This is a person who accompanies the individual into these situations in case the anxiety becomes too great and the person needs to escape or needs help. Reliance on the “safety person,” avoidance and other “safety behaviours” may offer short term relief i.e. the individual may not have a full blown panic attack, but they have will not learned that they can overcome the panic and they often live in fear of the next attack. The world becomes smaller and smaller as a result of the individual’s fear and avoidance and partly because of this constriction in their lives, and partly because they feel out of control and are unsure how to handle their problem, many people with panic disorder and agoraphobia also develop depression. Some of them become so anxious and depressed that they self-medicate with alcohol or tranquillizers, or even, in the case of some young people, illegal drugs. Some people incorrectly believe that panic disorder is a result of deep psychological problems. Of course, anyone with or without panic may have deeper problems, but panic disorder and agoraphobia are not necessarily related to deeper psychological problems. You may become depressed, dependent, and self-critical because you have panic disorder. But panic can be treated effectively without long-term therapy exploring your childhood experiences. People with panic disorder and agoraphobia often have unrealistic beliefs about anxiety such as “all anxiety is bad” and “I have to get rid of all my anxiety”. Some of these people misinterpret their anxiety as a sign of a dangerous medical condition. Others believe that because they have had panic attacks and agoraphobia for many years, and because traditional therapy has not been helpful for these problems, they can never improve. A number of medications have been found to be useful in the treatment of panic disorder and agoraphobia. These include antidepressants, anti-anxiety drugs and beta-blockers. These medications may help reduce your arousal, but once you end the medication, your panic symptoms may return. So we recommend that even if you use medication for panic disorder and agoraphobia, you should also undergo CBT. What Are Some of the Steps in Cognitive-Behavioural Treatment? The cognitive-behavioural treatment of panic disorder and agoraphobia will first help you to understand anxiety, panic, and agoraphobia; second, identify the range of situations that you avoid or fear; third, evaluate the nature of your particular symptoms, their severity and frequency, and the situations that trigger your panic; and fourth, determine whether any other problems coexist with your panic -for example, depression, other anxiety disorders such as phobias or posttraumatic stress disorder (PTSD) following a trauma, substance abuse, overeating, loneliness, or martial/ couple problems. Your therapy may include some or all of the following treatments: muscle relaxation training; breathing relaxation training; gradual exposure to situations and lead to panic; stress reduction; identification of your interpretation of physical symptoms; training in general cognitive therapy principles (that is, understanding how thoughts can lead to feelings such as fear, and learning how examining and altering your thoughts and beliefs can help you feel better) and training in the ability to recognise and reduce your panic symptoms when they occur. In addition, other problems that you may have, such as depression, may be addressed in the therapy. What is Expected of You as a Client? Cognitive-behavioural therapy requires your active involvement for it to be effective. You are expected to come to sessions weekly, to fill out forms that evaluate your problems, and to do self-help homework that you and your therapist plan and assign. As indicated earlier, most clients who participate in this treatment experience improvement in their panic disorder and agoraphobia.